King Casimiro harbours a secret. No one in the kingdom of Zaffirinthos knows that a devastating accident has left his memory clouded in darkness. And Casimiro himself cannot answer why Melissa Maguire, the enigmatic English rose before him, stirs such feelings in him... Questioning his ability to rule, Casimiro decides he will renounce the throne. But Melissa has news she knows will rock the palace to its core: Casimiro has an heir! 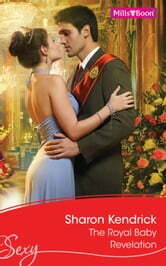 Law dictates Casimiro cannot abdicate, so he must find a way to reacquaint himself with Melissa– his new queen!